Maxime Bernier has resigned from cabinet ahead of an interview in which his ex-girlfriend said the foreign affairs minister left a secret document at her home. 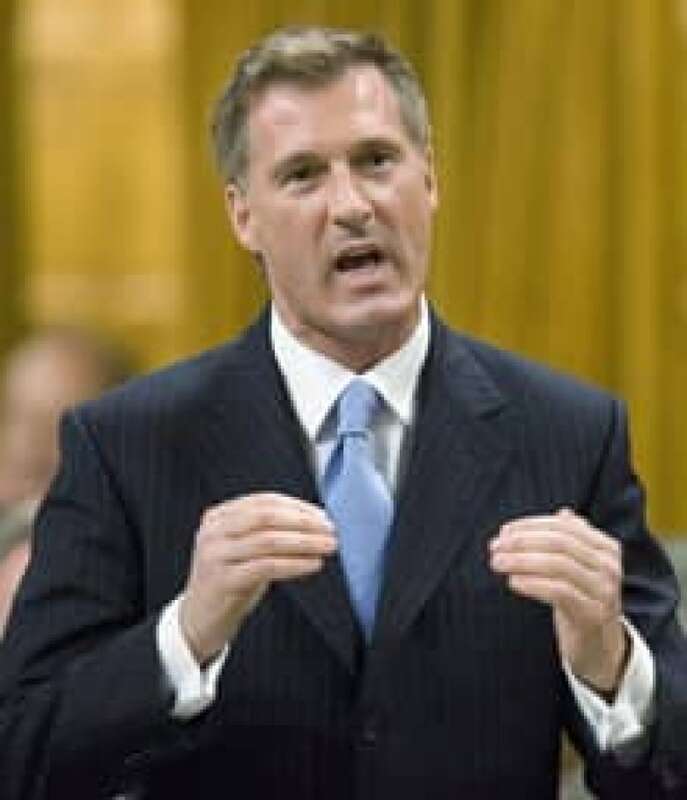 Embattled Foreign Affairs Minister Maxime Bernier has resigned from cabinet over a security breach involving classified documents, Prime Minister Stephen Harper told reporters on Monday. Prime Minister Stephen Harper announces Monday that he has accepted the resignation of Foreign Affairs Minister Maxime Bernier. ((Fred Chartrand/Canadian Press))The resignation came ahead of Monday night's airing of a French-language television interview of Bernier's former girlfriend, Julie Couillard, in which she revealed the minister had left a secret document in her apartment sometime in April that she later returned to Foreign Affairs. "Maxime came to my house, and the document stayed there," Couillard said during her interview with private television network TVA, without disclosing the contents of the document. Harper said he accepted Bernier's resignation after learning Monday that Bernier had inadvertently left the documents in an unsecured location. "It's only this error. 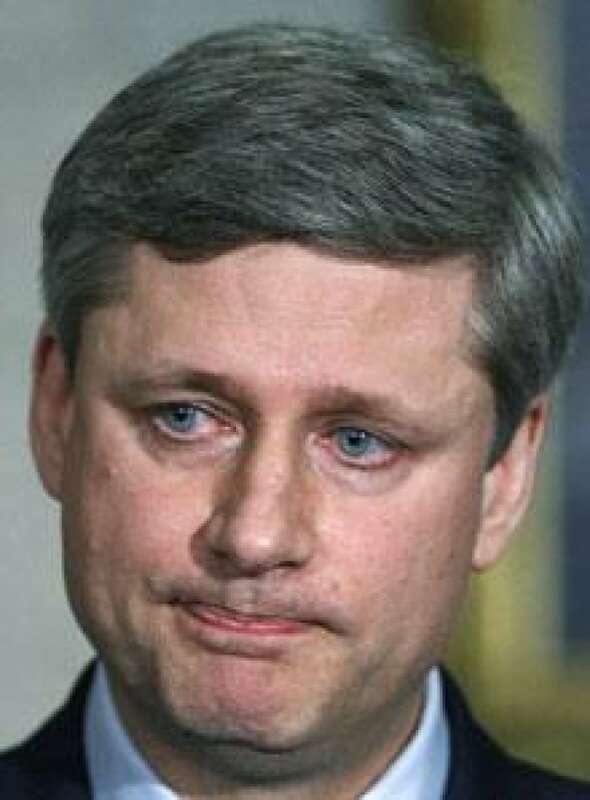 It's a very serious error for any minister," Harper said. "The minister immediately recognized the gravity of that error." The prime minister staunchly defended Bernier in recent weeks after he came under fire for his involvement with Couillard, who has been linked to the criminal biker underworld. "Let me be clear: This is not to do with the minister's private life," Harper said Monday. "What matters here is that rules respecting government classified documents were broken. Obviously it was not done on purpose … but it was clearly done and it has to be treated appropriately." Harper has asked Trade Minister David Emerson to assume the foreign affairs portfolio on an interim basis, while Heritage Minister Josée Verner will handle the Ministry of La Francophonie, which was also held by Bernier. Bernier, 45, was elected to the House of Commons in January 2006 to represent the Quebec riding of Beauce and previously served as minister of industry in Harper's cabinet. Bernier has also been in a weakened position in recent weeks since a gaffe in April during a visit to Afghanistan, where he publicly suggested the removal of the governor of Kandahar. Foreign Affairs Minister Maxime Bernier responds to a question during question period in the House of Commons in Ottawa on Wednesday. ((Tom Hanson/Canadian Press))Earlier this month, the federal government was forced to rent a Russian cargo jet to ship helicopters to Burma to deliver aid after Bernier publicly promised the Canadian military's new C-17 transports, none of which were immediately available, would handle the job. Montreal newspaper Le Devoir reported Monday that Couillard, who was once married to a biker, is the head of a high-tech firm that has been involved in airport security. Liberal MP Ralph Goodale said the prime minister "has a lot of explaining to do" after dismissing MPs' questions on the matter in recent weeks, which he said were always asked in a "respectful and measured tone." "The prime minister just swept them all aside and said, 'There's no problem here,' " Goodale told reporters Monday. "Obviously, tonight he's been proven incorrect." Speaking to reporters after the announcement, Bloc Québécois Leader Gilles Duceppe rejected Harper's contention that Bernier's resignation had nothing to do with Couillard's highly anticipated interview . Duceppe said many questions remain unanswered, including how "people with very strange pasts" can bid on government contracts for airport security. NDP Leader Jack Layton said it was about time that Bernier was replaced after committing a "series of incompetencies." "It's been one thing after another and why the prime minister didn't come forward with more information about this whole sordid mess is something he's going to have to answer for," he told reporters. Le Devoir reported Monday that Couillard's business specializes in "systems of high security technology" that include security system installations and passenger security. The information was provided to Le Devoir by a former employee at Couillard's firm. Couillard, 38, receives documents regarding airport security, according to the report. Published reports have referred to court documents that say Couillard once married a member of the Rockers biker gang, and was a potential target of Hells Angels kingpin Maurice (Mom) Boucher while she dated another biker. Couillard has said she cut off ties with the underworld in 1999, and her romantic involvement with bikers is part of a distant past. She started dating Bernier before he was sworn in as foreign affairs minister in 2007. They recently split up. Couillard said her name and reputation have been tarnished because of published reports documenting her past ties, but she is not ashamed of anything.